We love having the solar system. We check the production amount every day, and so, I think that we are more conscious of energy use, and try to conserve more. Mostly, because we felt a duty to reduce our use of fossil fuels. 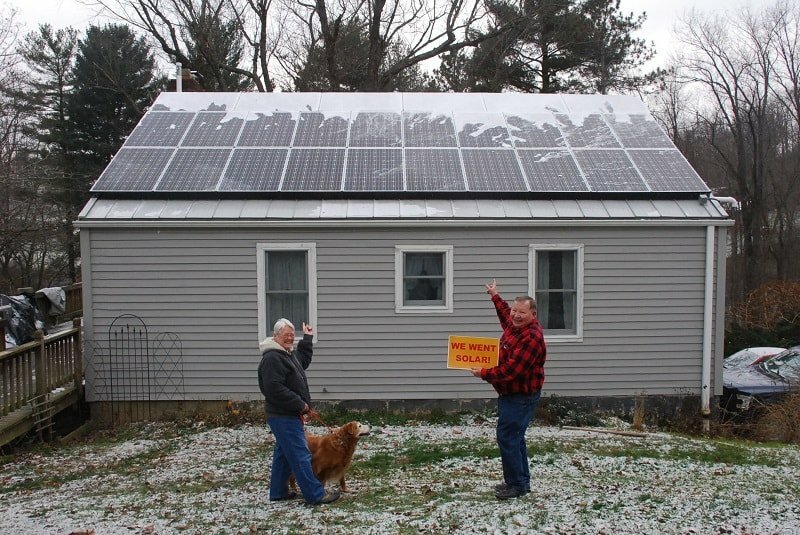 We had decided to go solar, and then, just luckily, the co-op was announced, and so, we could save money by going through it for the installation. What advice would you give to someone who wants to go solar? Definitely, to search for a co-op in their area. Also, to just let them know that it works superbly, with no maintenance issues or problems. Our energy production for 9 1/2 months has been 6.16 MWh, and one environmental benefit has been 9544 pounds of CO2 emissions saved. How much was your electric bill before and after going solar?